Neil F. Goodman established his practice in Miami in 1974 and has been specialized in reproductive medicine and infertility for almost 40 years. He received his BA in chemistry from Cornell University and his MD from Columbia College of Physicians and Surgeons. He completed internship and residency training in medicine at Beth Israel Hospital and a fellowship in Endocrinology and Metabolism at Massachusetts General Hospital, both in Boston, Massachusetts. 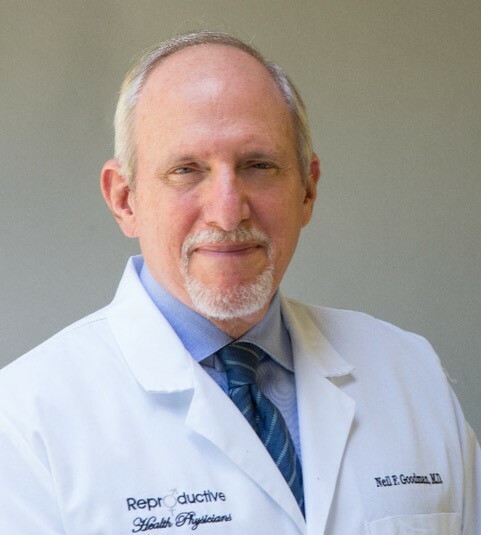 Dr. Goodman has been a member of the teaching faculty of the University of Miami Miller School Of Medicine since 1974, serving as Professor of Medicine, lecturing on, and establishing a preceptorship for the endocrine fellowship program in reproductive endocrinology. Dr. Goodman is a charter member of AACE, and co-founded the Reproductive Medicine Committee. He has served as, and is presently, chairman of the committee and is a principal author for the Menopause, Hyperandrogenism, and Polycystic Ovary Syndrome guidelines. He has lectured nationally on various topics in reproductive medicine and thyroid disorders. His private practice focuses on reproductive medicine, treating polycystic ovary syndrome, infertility, menopause, and male hypogonadism.